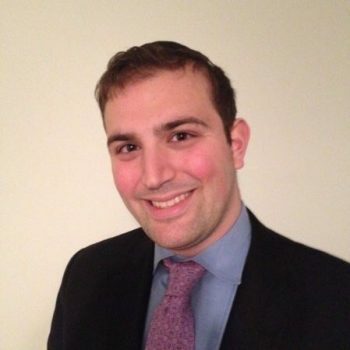 Michael Appelbaum is the OU’s Director of Participant Privacy and the Chief Compliance Officer for Yachad, the National Jewish Council for Disabilities. Michael is responsible for the creation and implementation of the compliance program for Yachad. Michael coordinates the implementation of policies and procedures across the Orthodox Union to protect the privacy of participants throughout the organization. Prior to this position, Michael was the Program Director for the Jewish Union Foundation where he oversaw various programs that catered to adults with developmental disabilities. Originally from Brooklyn, New York, Michael is a graduate of the Yeshiva of Flatbush and Yeshivat Yesodei Hatorah. Michael received his Bachelor’s Degree in Political Science from Brooklyn College. Michael received his Master’s Degree in Public Administration from Baruch College with a concentration in Non Profit Management. His thesis focused on the rates of abuse among individuals with developmental disabilities compared to the rest of the population. Michael currently lives in Woodmere, NY with his wife and three kids. His hobbies include sports, reading and playing board games.